This entry was posted in Faith, Poetry, Verse of the Day and tagged 1 Corinthians 4:1-2, Bible Verse, Christ, Faith, Freedom, God, Grace, Hope, Inspiration, Jesus, Love, Mercy, Peace, Poetry, Praise, Pray, Prayer on March 20, 2019 by waynemali. Or the servant of Christ? What makes me stand out? From those that don’t see? This entry was posted in Faith, Poetry, Verse of the Day and tagged 1 Corinthians 4:1-2, Bible Verse, Christ, Faith, Freedom, God, Grace, Hope, Inspiration, Jesus, Love, Mercy, Peace, Poetry, Praise, Pray, Prayer on April 22, 2018 by waynemali. If we are the servants of the Lord, we have received His word, His wisdom. As His servants we must prove faithful by spreading this great word, this great wisdom, there are those that do not know, those that need to find a way out of where they are. I was once like that, then one night, someone came and told me of the word of God, since that day my life has not been the same, that night doors opened, light came in and I came alive. 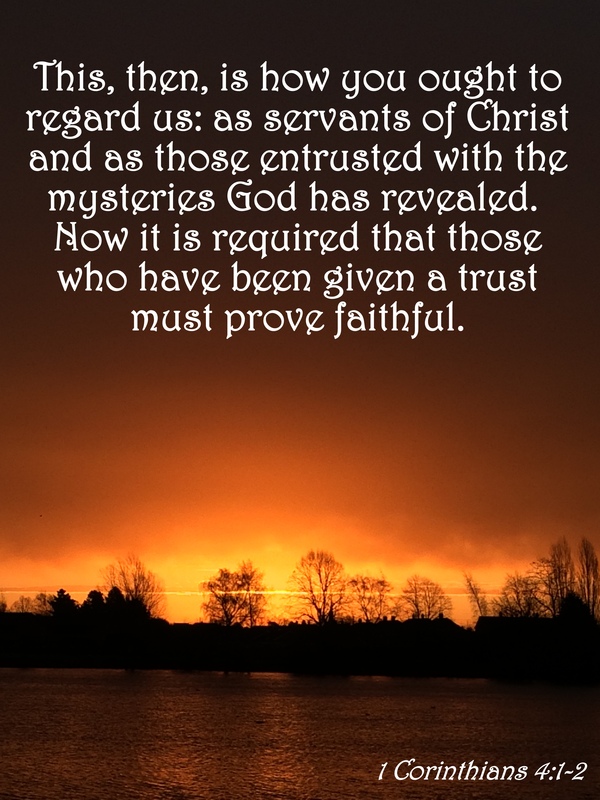 This entry was posted in Faith, Verse of the Day and tagged 1 Corinthians 4:1-2, Awakening, Bible Verse, Born Again, Christ, Faith, Freedom, God, Grace, Hope, Inspiration, Jesus, Lacey Sturm, Love, Mercy, Peace, Praise, Pray, Prayer, Third Day on October 23, 2017 by waynemali.